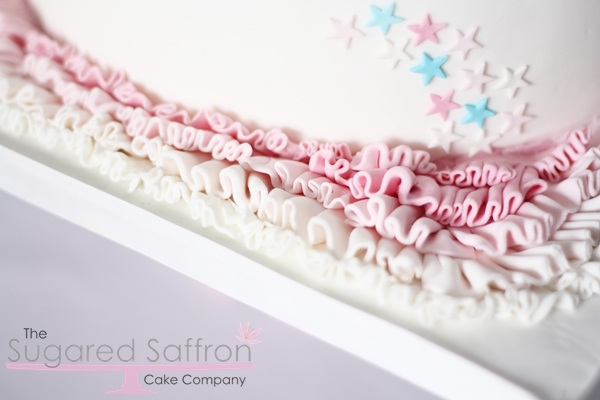 Candy stripe, funfair, pale pink, baby blue, ruffles; it a description of cute, distilled. I was so excited to start on this fairground wedding cake project. 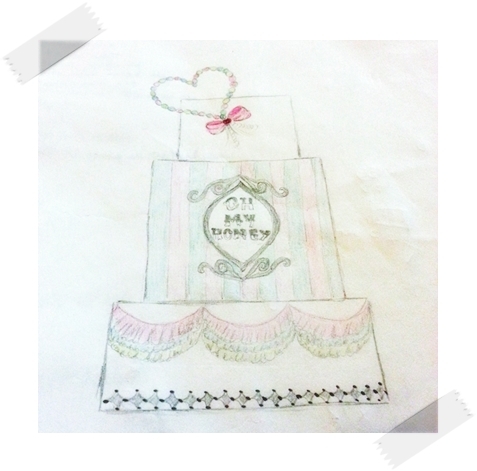 My original sketch was actually slightly different, it featured a marshmallow style heart and ruffled swags. The ruffles sort of got transferred to the cake board which, I warn you in advance, took a long time. I did actually make it and attached it but it didn’t look right so I opted for a fabric, ruffle type flower and the addition of stars. 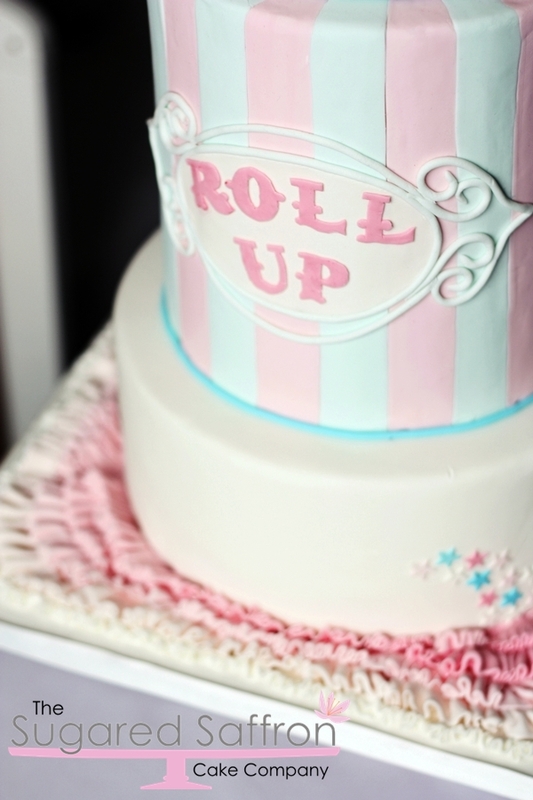 The ‘Roll Up’ was hand-cut and stuck to the plaque which was then embellished with extruded lengths of sugarpaste to give it the look of a mirror, or frame. 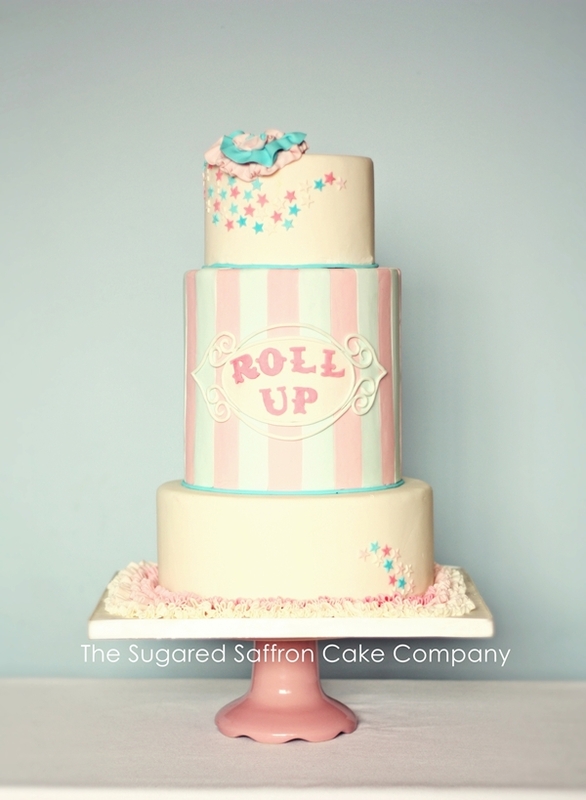 So who’s going to be ordering a funfair themed wedding cake then? This cake was created for a shoot showcasing Louise O’Mahony’s new bridal range.